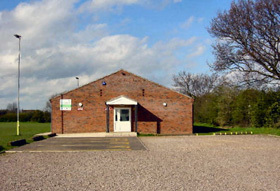 The project to build the new pavilion was run by the Kirton and Falkenham Recreation Ground Committee on behalf of the Parish Council and was on-going for nearly 4 years. The main effort was been done by the Secretary (John Beer), the Chairman (Phil Barker) and our Quantity Surveyor (Mark Kennedy). We worked closely with Kirton Kestrels Football Club, who run 9 teams from Under-8 to Under-15 and the Suffolk County F.A. All 3 of the above named people are also members of the Kestrels club committee. 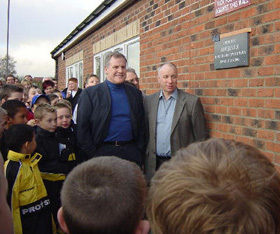 Our initial application to the Football Foundation was in December 2001 and we were visited by them in April 2002. Since that meeting, we worked with them to get our application into an acceptable format. 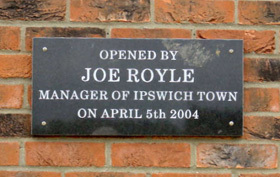 Football Foundation funding was achieved in October 2002. The main parts of the application were the Business Plan (which ran to some 19 pages !!! 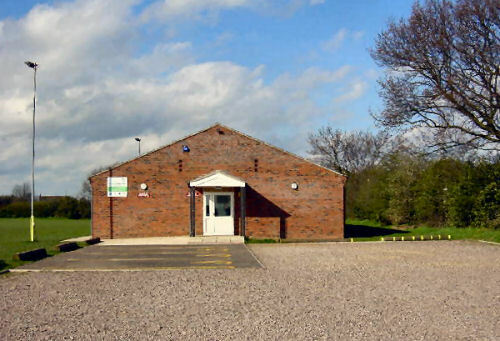 ), a football development plan for Kirton Kestrels, and a full cost breakdown. As regards the development plan, it was clear that youth football, girls football and links to schools etc. are fundamental to the Football Foundation's plans for the future. 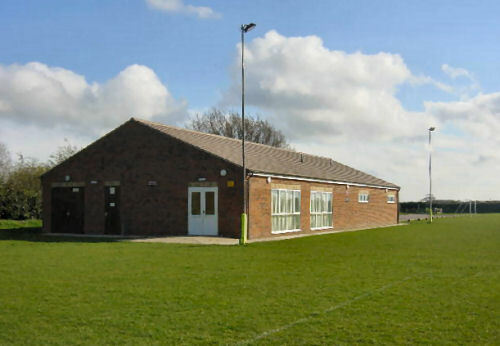 Kirton Kestrels had also to become a FA Charter Standard club (achieved in October 2003) and the Kirton clubs must seek community club status to achieve the grant. 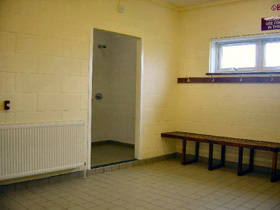 Kirton United and the Felixstowe United teams also use the facilities on the Recreation Ground. 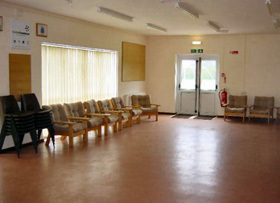 The old pavilion was over 30 years old, of wooden construction, had water leaks through the roof and was rotting badly. 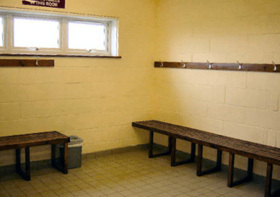 The two changing rooms catered for only 11 players, as it was developed before substitutes were even thought of !!! 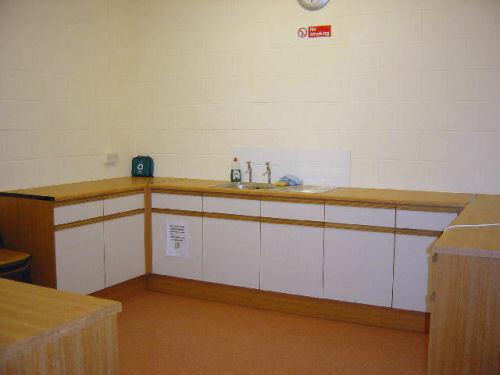 The kitchen did not pass the Health and Safety hygiene checks. The new one is approx. 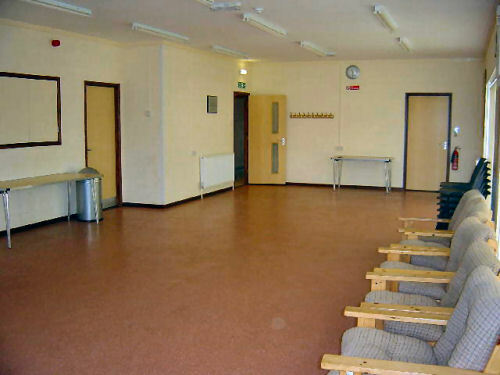 27 by 12 metres in size, has 4 changing rooms each accommodating 16 people, 4 showers, a toilet and wash basin. There are two officials rooms, each with shower, toilet and wash basin. A kitchen and lounge make up the building together with goalpost stores etc. The pavilion is also heated, and there are facilities for the disabled. The plans were drawn up in conjunction with the Football Foundation. The Football Foundation funded about 75% (£146,570) of the total project cost of £205,000. We received £12,000 from Kirton and Falkenham Parish Council, £8000 from Suffolk Coastal DC, £15,000 from the Suffolk County Council's European Regeneration Fund, £10,000 from the Landfill Tax scheme and a number of smaller donations. Kirton Kestrels also raised a magnificent £6000. Building work started in July 2003 and the main structure was completed by January 2004. Official opening was on April 5th 2004 by Joe Royle who was manager of Ipswich Town Football Club. If any other organisations are thinking of applying for grants with the Football Foundation, we would be happy to discuss our project with them. Depending on age group, our home matches are played at Kirton Recreation Ground or Trimley St Martin Primary School. See maps below for directions.